Critical care ultrasonography is a new discipline with real time adaptation to the critically ill patient. Speed of decision making is very important in the acutely decompensating critically ill patient and the ability to perform serial bedside limited ultrasound examinations to answer specific emergent conditions can be life-saving. The critical care physician must be able to acquire the images, interpret the images, make the bedside clinical decision, and use it in real-time to implement changes in management. Our goal is by the end of the fellowship, the critical care fellow will feel comfortable in acquiring and interpreting bedside critical care ultrasound exams. 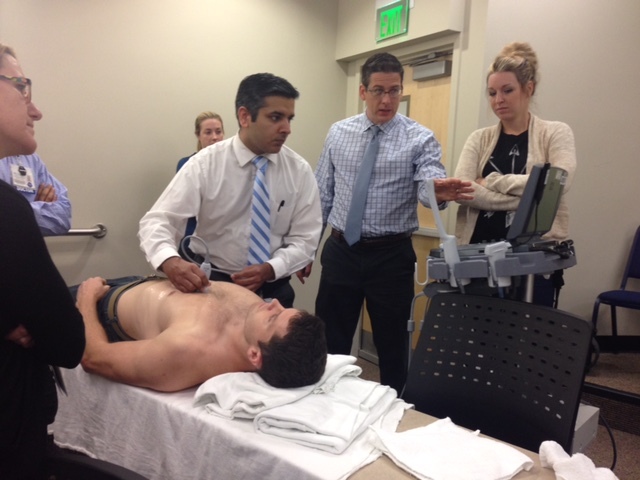 To improve patient care through point of care ultrasound education, diagnosis, and research.